FMG gas meters can be equipped (optional) with two thermo wells and two pressure tapping points. Therefore the gas meters can be supplied and equiped with an Electronic Volume Conversion Device. FMG offers a large variaty in conversion devices so all required data can be provided and the best solution for every project can be assembled. Refer to the special brochure for more information about the Electronic Volume Conversion Devices FMG is able to supply or contact a local supplier. FMG can also supply Flow Computers which provide more functions than standard volume conversion devices. 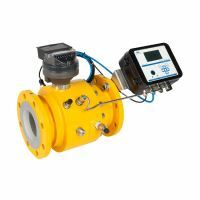 The Flow Computers can be used in combination with Rotary Gas Meters or Turbine Gas Meters, so a specific solution for every type of meter can be found. The FMVC-111 is designed to convert gas volume in operating conditions to gas volume in standard conditions according to the state equation. 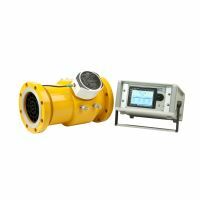 For that purpose, it reads pulses from a gas meter, and measures gas temperature and gas pressure. The volume corrector will support PTZ, PT, TZ or T type conversions using algorithms for calculation of compressibility factors according to the standards AGA 8-92DC, AGA NX-19 mod, AGA 8-G1, AGA 8-G2, SGERG-88 or fixed. The SFC3000 is far more than just a dedicated flow computer. It can operate on a number of levels from a supervisory machine to a stand alone flow computer or as a system component. With its touch screen, VGA display and extensive processing capabilities, combined with simple to use controls and unique operating software it can function as a complete station supervisor integrated into a flow computer housing.